Last year, the US PGA Tour handed over international multi-platform rights in a $2 billion partnership to media giants Discovery - who then launched Golf TV as their video streaming service for markets outside the US. But a major grievance for Australian fans waking up early to watch PGA Tour broadcasts has been a gross lack of airtime for Day, Scott, Marc Leishman and Cameron Smith - even when they are within range of the lead. "I agree; it's a bummer for fans and it's something we can solve," president of Discovery Golf, Alex Kaplan, told AAP. "We're excited and Australia is a market we haven't even really touched yet." "We're not going to put people and cameras on every hole; it's not feasible," Anderson said. "But we've done some testing with robotic cameras that you can get in fixed locations and operate them from anywhere." 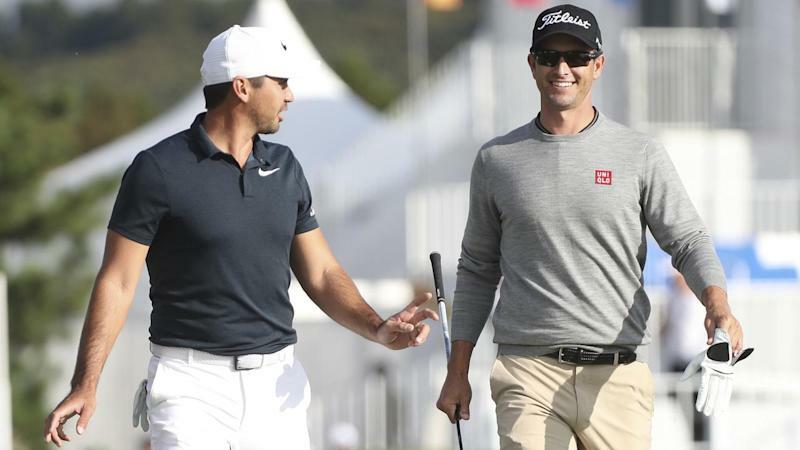 In the meantime, Golf TV plans to regularly package highlights of entire rounds for players, including Australians, in a bite-sized format. "Right now, we can start to get speed rounds where you see the players that matter in Australia and watch it after the fact," Anderson said. Former world No.1 Scott said the concept was the only way to properly engage golf fans in Australia. "It's simple; watching every shot of every player absolutely has to be the future," he told AAP. "It would absolutely boost golf in Australia. "I say this respectfully but everyone back home says there is biased coverage of American players and that doesn't do wonders for golf globally. "It would be wonderful if you could press a button and stream your favourite player."